“Last February 19th at the University of Minnesota, Norman Thomas, six-times candidate for President on the Socialist Party ticket, said, “If Barry Goldwater became President, he would stop the advance of socialism in the United States.” I think that’s exactly what he will do. But as a former Democrat, I can tell you Norman Thomas isn’t the only man who has drawn this parallel to socialism with the present administration, because back in 1936, Mr. Democrat himself, Al Smith, the great American, came before the American people and charged that the leadership of his Party was taking the Party of Jefferson, Jackson, and Cleveland down the road under the banners of Marx, Lenin, and Stalin. And he walked away from his Party, and he never returned til the day he died—because to this day, the leadership of that Party has been taking that Party, that honorable Party, down the road in the image of the labor Socialist Party of England. “Now it doesn’t require expropriation or confiscation of private property or business to impose socialism on a people. What does it mean whether you hold the deed to the—or the title to your business or property if the government holds the power of life and death over that business or property? And such machinery already exists. The government can find some charge to bring against any concern it chooses to prosecute. Every businessman has his own tale of harassment. Somewhere a perversion has taken place. Our natural, unalienable rights are now considered to be a dispensation of government, and freedom has never been so fragile, so close to slipping from our grasp as it is at this moment. “You and I know and do not believe that life is so dear and peace so sweet as to be purchased at the price of chains and slavery. If nothing in life is worth dying for, when did this begin—just in the face of this enemy? Or should Moses have told the children of Israel to live in slavery under the pharaohs? Should Christ have refused the cross? Should the patriots at Concord Bridge have thrown down their guns and refused to fire the shot heard ’round the world? The martyrs of history were not fools, and our honored dead who gave their lives to stop the advance of the Nazis didn’t die in vain. Where, then, is the road to peace? Well it’s a simple answer after all. “We’ll preserve for our children this, the last best hope of man on earth, or we’ll sentence them to take the last step into a thousand years of darkness. “We will keep in mind and remember that Barry Goldwater has faith in us. He has faith that you and I have the ability and the dignity and the right to make our own decisions and determine our own destiny. This speech not only underscores Reagan’s grasp of current events exposited with a mastery of expression but also a confident conviction in the rightness of individual liberty. 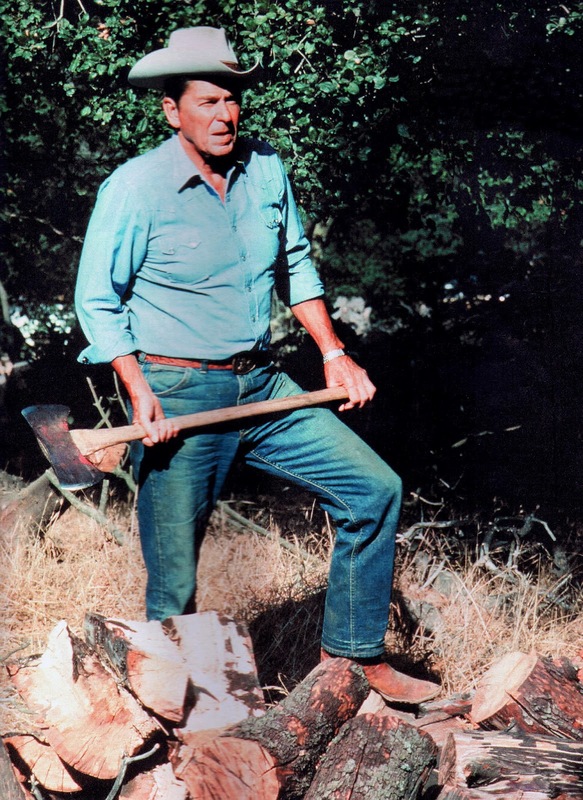 For Reagan, the choice staring each American in the eye was not a question of moderating this or that policy, reforming or replacing programs that had simply gone too far with “smarter ones” established by Republicans. This was an ideological war and both parties had to choose on what side they would be. Either with the self-governing people of this country or against them. We faced then what we must unavoidably confront now: In what direction is America to go? By what set of ideals will we choose to navigate the future? Up to the dignity of human freedom in harmony with law or down to the depraved darkness of totalitarianism enslaving whoever exists within its ever-expanding reach. Courtesy of Leslie Jones Photography. 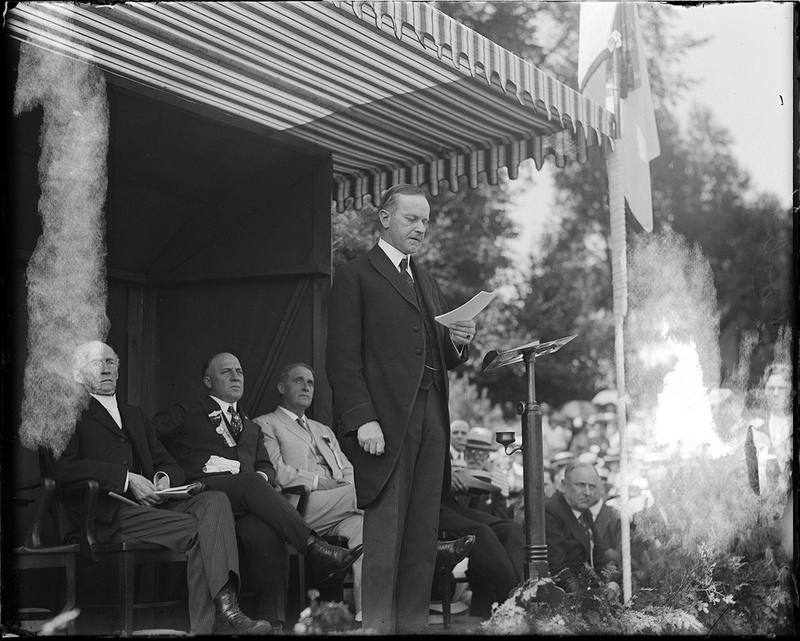 Readily visible in Reagan’s oratory is the persistent influence of Calvin Coolidge. Reagan made no attempt to hide his admiration for the thirtieth president, despite what the elites of his day thought of his marginalized teacher and leader. Reagan referred to and quoted amply from the man he considered the most underrated of modern Presidents. Reagan, addressing a town meeting held by the Los Angeles County Board of Supervisors, March 3, 1982, observed that Coolidge “was known more for his silence than his rhetoric. But when silent Cal had something to say, it was usually worth hearing. ‘Our country,’ he once said, ‘was conceived in the theory of local government. It has been dedicated by long practice to that wise and benevolent policy. It is the foundation of our system of liberty.’ ” Reagan wanted to do more than just tweak the system, he wanted to reverse the power flow back out of Washington into the hands of the American people at the most local level. But here, in this speech, Reagan never mentions Coolidge, yet he does allude to him, channeling Cal without overtly saying so. 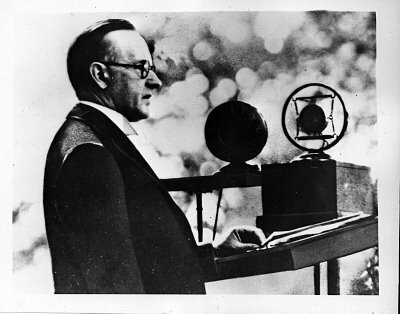 Some examples of Coolidge’s oratory demonstrate this point. “A division of the people or their representatives in accordance with any other principle or theory is contrary to the public welfare. An organization for the purpose of serving some special interest is perfectly proper and may be exceedingly helpful, but whenever it undertakes to serve that interest by disregarding the welfare of other interests, it becomes harmful alike to the interest which it proposes to serve and to the public welfare in general. Under the modern organization of society there is such a necessary community of interests that all necessarily experience depression or prosperity together…There can be no peace with the forces of evil. Peace comes only through the establishment of the supremacy of the forces of good. That way lies only through sacrifice. It was that the people of our country might live in a knowledge of the truth that these, our countrymen, are dead. ‘Greater love hath no man than this, that a man lay down his life for his friends.’ This spirit is not dead, it is the most vital thing in America. It did not flow from any act of government. It is the spirit of the people themselves. It justifies faith in them and faith in their institutions” — May 30, 1923. “We need a broader, firmer, deeper faith in the people–a faith that men desire to do right, that the Commonwealth is founded upon a righteousness which will endure, a reconstructed faith that the final approval of the people is given not to demagogues, slavishly pandering to their selfishness, merchandising with the clamor of the hour, but to statesmen, ministering to their welfare, representing their deep, silent, abiding convictions. Statutes must appeal to more than material welfare. Wages won’t satisfy, be they never so large. Nor houses; nor lands; nor coupons, though they fall thick as the leaves of autumn. Man has a spiritual nature. Touch it, and it must respond as the magnet responds to the pole. To that, not to selfishness, let the laws…appeal. Recognize the immortal worth and dignity of man. Let the laws…proclaim to [the] humblest citizen, performing the most menial task, the recognition of his manhood, the recognition that all men are peers, the humblest with the most exalted, the recognition that all work is glorified. Such is the path to equality before the law. Such is the foundation of liberty under the law. Such is the sublime revelation of man’s relation to man–Democracy” — January 7, 1914. “There are only two main theories of government in the world. One rests on righteousness, the other rests on force. One appeals to reason, the other appeals to the sword. One is exemplified in a republic, the other is represented by a despotism. The history of government on this earth has been almost entirely a history of the rule of force held in the hands of a few. Under our constitution, America committed itself to the practical application of the rule of reason, with the power held in the hands of the people” — October 15, 1924. 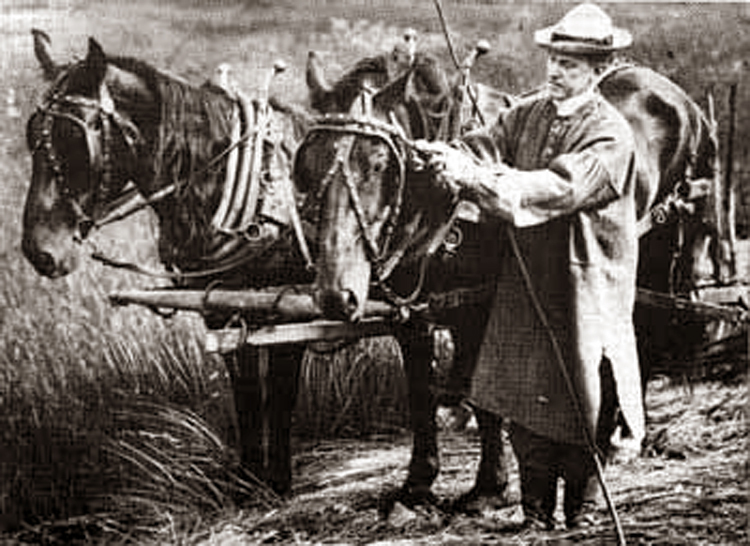 “Yet people are given to thinking and speaking of the National Government as ‘the Government.’ They demand more from it than it was ever intended to provide; and yet in the same breath they complain that Federal authority is stretching itself over areas which do not concern it…The individual, instead of working out his own salvation and securing his own freedom by his own industry and his own self-mastery, tends to throw himself on some vague influence which he denominates society and to hold in some way responsible for the sufficiency of his support and the morality of his actions. The local political units likewise look to the States, the States look to the Nation, and nations are beginning to look to some vague organization, some nebulous concourse of humanity, to pay their bills and tell them what to do. This is not local self-government. It is not American. It is not the method which has made this country what it is…There is no other foundation on which freedom has ever found a permanent abiding place. We shall have to make our decision whether we wish to maintain our present institutions, or whether we wish to exchange them for something else. If we permit some one to come to support us, we can not prevent some one coming to govern us. If we are too weak to take charge of our own morality, we shall not be strong enough to take charge of our own liberty. If we can not govern ourselves, if we can not observe the law, nothing remains but to have some one else govern us, to have the law enforced against us, and to step down from the honorable abiding place of freedom to the ignominious abode of servitude” — May 30, 1925. 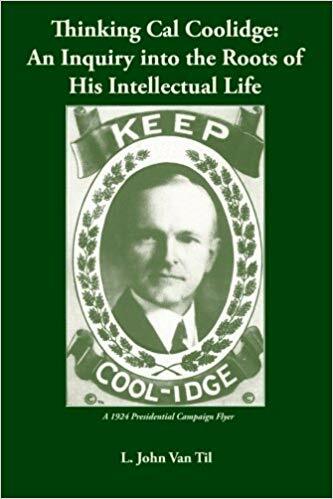 To adequately honor the author of The Speech given fifty years ago today, we must first appreciate the unassuming inspiration and guiding force of Calvin Coolidge. Reagan’s words still summon us to recognize that now is our time to choose whether freedom from or servitude to government will define our future. In a very real sense, Coolidge was Reagan’s intellectual ancestor. To wisely appraise the crossroads at which we stand, the worldview of both men must be reckoned with and assessed anew. Nothing less will suffice to restore the primacy of self-government.